The AAA Four Diamond Atlantic Hotel & Spa, Fort Lauderdale’s premier luxurious boutique hotel, is proud to announce that it is celebrating its 10th Anniversary this June. Located in the heart of Florida’s Gold Coast, this stylish, sophisticated hotel, overlooking miles of pristine sun-splashed golden beaches is a member of the Preferred Hotels & Resorts portfolio. The Atlantic Hotel & Spa is devoted to unsurpassed service, where every staff member serves as your personal host, and the oversized contemporary accommodations evoke the sense of an exclusive oceanfront club. When The Atlantic Hotel & Spa first opened its doors to guests on June 4, 2004, it was the first new hotel in the area in 20 years. 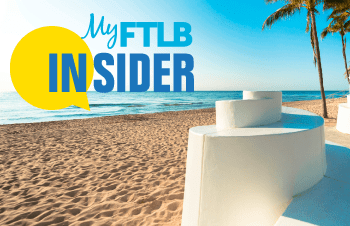 The Atlantic Hotel & Spa which led the renaissance of Fort Lauderdale’s famous beach is proud that Fort Lauderdale Beach is now one of the country’s top vacation destinations. Throughout the years, The Atlantic Hotel & Spa has received high accolades including being named one of Travel & Leisure’s “Top 50 Resorts” in the United States and Canada in 2010 and one of TrustYou’s 20 Top Beach Hotels in the Continental United States in 2013. The Hotel & Spa has also received numerous awards including the 2013 Certificate of Excellence Winner from TripAdvisor, the 2013 Orbitz Award for Best Hotel in Fort Lauderdale, the 2014 Miami Design Agenda’s #2 Beach Resort in Florida 2014 and the 2013 Orbitz Award for Best Hotel for LGBT in the United States, among many other accolades. Owner Rob Kaliner states that “The Atlantic Hotel & Spa is like a fine wine – it has gotten better with age!” Rob goes on to say that “our guests consider The Atlantic their home and feel the staff is like family and the service is superior”. Mr. Kaliner also finds it very rewarding to see the amazing transition of Fort Lauderdale – becoming such a hot spot for art, culture, great nightlife and terrific restaurants. The Atlantic Hotel & Spa is planning to share its momentous 10th Anniversary milestone with local Florida residents and hotel guests by hosting a number of spectacular events and offering exclusive hotel, spa and dining packages throughout the year. The celebration will begin with a sizzling hot White Party on the hotel’s 5th Floor Oceanfront Terrace on Friday, June 27th. There will be several other unique events throughout the year. In addition, renowned underwater photographer, Craig Dietrich’s photography, will be featured beginning May 31st. Dietrich’s breathtaking oceanic images will be on display for six months in The Atlantic Hotel’s lobby area. Beginning on June 4, 2014, the resort is inviting guests to discover The Atlantic Hotel & Spa’s “Suite Life” Staycation packages. The Atlantic Hotel beckons its guests to experience a truly intimate escape from the other larger, impersonal hotels. When guests reserve one of the property’s luxurious spacious suites (ranging in size from 950 to 2200 square feet), the hotel will provide them with a personal concierge who will help them design their own dream Staycation. “The Suite Life” Staycation packages begin at $299/night and can be enhanced with a selection of exclusive, personalized services and experiences. · Stay Atlantic and Leave the Driving to Us – The resort will whisk local South Florida guests to paradise by transporting them to and from The Atlantic Hotel & Spa in a private Limousine, Lincoln Town Car or an exotic car of their choice. Complimentary valet parking will be available for those who prefer to drive their own car. With 124 rooms and suites, The Atlantic Hotel & Spa offers one-bedroom suites with kitchenettes and private balconies and 2-3 bedroom penthouse suites with dining and living rooms. · Dine Atlantic – Indulge in Great Food and Drink – Guests can enjoy an enticing and romantic dinner for two prepared by their own Private Chef and served in their suite or on their own private terrace overlooking the waves. Every morning, they can delight in a sumptuous breakfast served in their suite or they can awaken their senses at Beauty & the Feast Bar|Kitchen, a new style of dining featuring an eclectic menu and enchanting ambiance located on the lobby level of the hotel facing the Atlantic Ocean. Beauty & the Feast Bar|Kitchen is open for breakfast, lunch, dinner and Sunday brunch. · Spa Atlantic – Guests can enjoy blissful tranquility with a customized massage in one of the couple’s suites at the resort’s award winning Spa Atlantic, or be pampered with signature spa treatments in the comfort of their own suite. The resort currently features a 10,000 square-foot spa and fitness center, a heated outdoor pool and whirlpool. · Beach Atlantic – Guests can relax on the gorgeous white sand and discover the true meaning of leisure. The Atlantic Hotel & Spa can provide personal picnic baskets prepared by hotel Chefs. Complimentary umbrella and beach chair rental is also available as part of this experience. 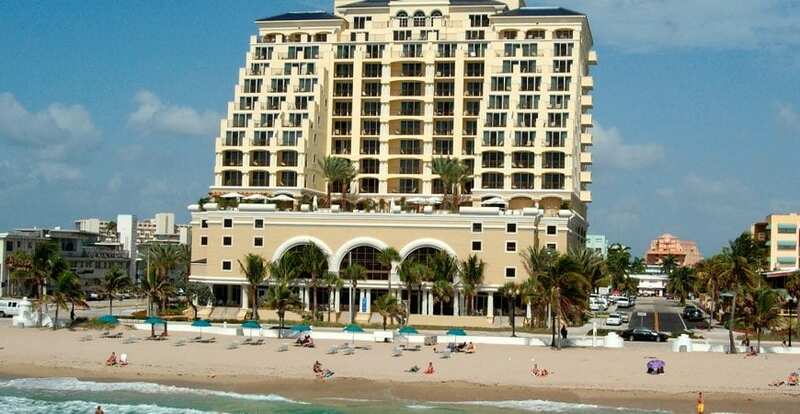 The Atlantic Hotel & Spa is located at 601 N. Fort Lauderdale Beach Blvd, Fort Lauderdale, FL. For more information or to reserve “The Suite Life” Staycation package, please visit www.atlantichotelandspa.com or call (954) 567-8020. The Atlantic Hotel & Spa also boasts two new fabulous dining concepts for guests and locals to enjoy. Beauty & the Feast Bar | Kitchen offers a globally inspired American menu. From Pizza to Paella, Burgers to Bone-In Steaks and craft beers to culinary cocktails, the restaurant caters to all tastes. Offering an alluring warm-lit atmosphere, spectacular ocean views and an enticing cocktail area, Beauty & the Feast serves a flavorful array of small plates, entrees, and family-style feast plates. Beauty & the Feast Bar|Kitchen is open for breakfast, lunch, dinner and Sunday brunch. The Ocean Market Grille, located on the 5th floor Oceanfront Terrace, offers casual light fare for lunch daily. The beautiful outdoor setting offers captivating ocean views, with poolside dining and a full outdoor bar. Open daily beginning at 11:00am, Ocean Market Grille’s menu presents a delightful selection of sandwiches, burgers, wraps and salads. Both restaurants accommodate private parties and special events. There are several private rooms in the Hotel for weddings, mitzvahs and milestone and corporate events. Plus, there are more intimate oceanfront rooms for smaller dinner parties. In addition, the oceanfront 5th Floor Pool Deck is a perfect venue for both charitable and social gatherings in a beautiful outdoor setting. For more information, please contact Danny Dapuzzo at 954-567-8072.